Sam and Caitlin’s wedding is such a great example of a modern wedding. It was filled with meaningful and unique pieces of who they are. The wedding was held in one of my favorite artistic wedding venues – the Space Gallery. 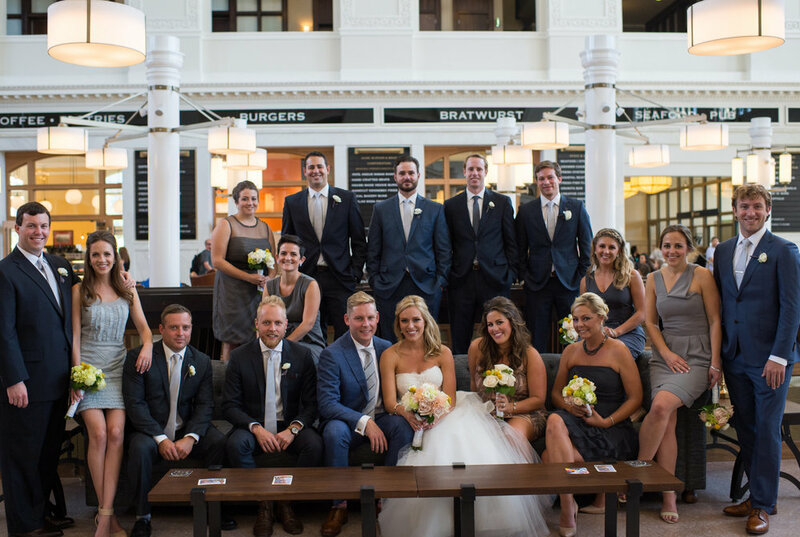 We were able to highlight downtown Denver’s best locations as we photographed the guys getting ready at the Denver Athletic Club and captured portraits of the wedding party at the newly renovated Union Station. Caitlin was a strikingly beautiful bride. Her poise and warm, welcoming personality came together to present a truly beautiful woman paired with her groom who was just as dapper in his early fall, steel-blue suit. Wedding Dress: Monique Lhuillier "Azure"